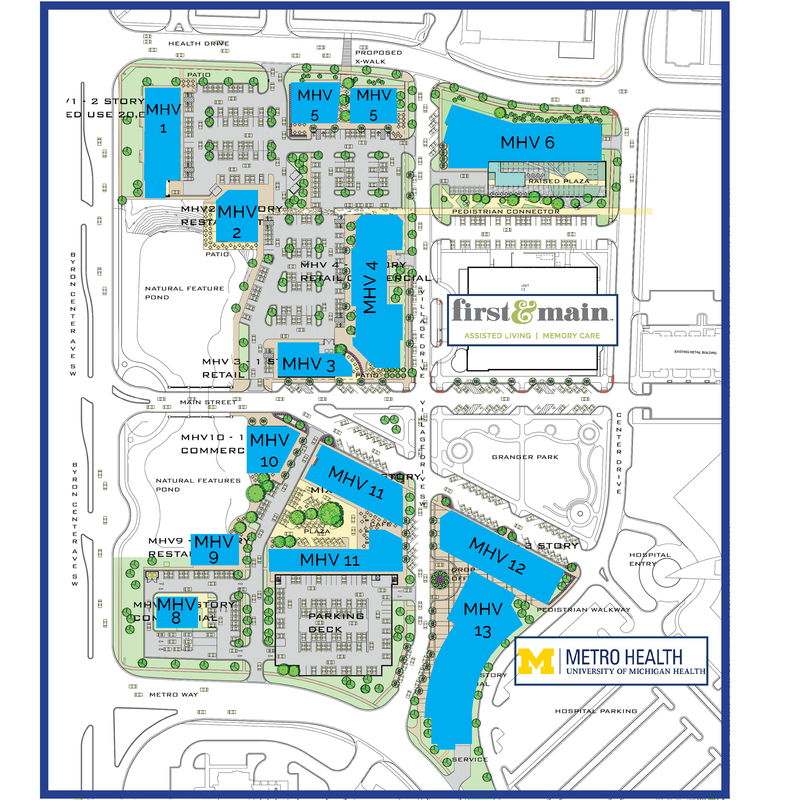 Metro Health Village is a 180 Acre Mixed-Use Development anchored by University of Michigan-Metro Health Hospital, a 208-Bed Hospital, Spartan YMCA, a 100,000 S.F. Heath and Wellness Center, Hyatt Hotel, Family Fare a 50,000 S.F. Grocery Store, and a VA Outpatient Clinic.